To contact me by email or phone, please visit the University of Guelph Directory. I lead the Machine Learning Research Group at the University of Guelph. I am interested in statistical machine learning and biologically-inspired computer vision, with an emphasis on deep learning and time series analysis. The Collaborative Specialization in Artificial Intelligence is a new thesis-based Master's program recognized by the Vector Institute. We are still accepting applications for Fall 2019. On 2019-04-08 I was named a Canada CIFAR AI Chair. On 2018-03-29 I was interviewed by the Canadian Press on a story about the consequences of AI in robotic weapons and outsourcing lethal decisions to machines. We're about to start our third NextAI cohort. Again, we're seeking up to three AI Scientists in Residence to start in late February 2019. Please talk to me if you're interested. On 2018-12-13, we announced the Guelph Centre for Advancing Responsible and Ethical Artificial Intelligence (CARE-AI). This was featured in the Toronto Star, the National Post, CTV and CBC. I am starting a sabbatical at Google Brain and will live in Montreal until 2019-05-03. The CIFAR Deep Learning and Reinforcement Learning Summer Schools kicked off on 2018-07-25. On 2018-06-27, I was named as one of Canada's Top 40 Under 40. Colin Brennan defended his thesis on 2018-06-08. On 2018-05-16, I was interviewed by The Walrus on a story about racism and sexism in artificial intelligence applications. 2018-05-03: Announcement about a new Tier 2 Canada Research Chair in Machine Learning. On 2018-03-29, I appeared on the In Context Podcast with Kathryn Hume and David Duvenaud. We're conducting interviews for our second NextAI cohort. We're also seeking up to three AI Scientists in Residence to start in late February 2018. Please talk to me if you're interested. On 2017-12-08, our paper, led by Devinder Kumar, won a Best Paper Prize at the Transparent and Interpretable Machine Learning in Safety Critical Environments workshop at NIPS 2017. CIFAR profile on 2017-11-08: Championing AI Innovation & Entrepreneurship. On 2017-11-03, I appeared on the This week in AI & ML podcast. Eu Wern Teh, Boris Knyazev, and Katya Kudashkina joined our group as PhD students, and Alaa El-Nouby, Maeve Kennedy, and Shamak Dutta joined our group as Master's students on 2017-09-07. Brendan Duke, Vithursan Thangarasa, and Adam Balint joined our group as Master's students on 2017-05-01. I am co-organizing the CIFAR/CRM Deep Learning Summer School with Yoshua Bengio and Aaron Courville. The summer school will run from June 26 - July 1 and it will be held at the University of Montreal. 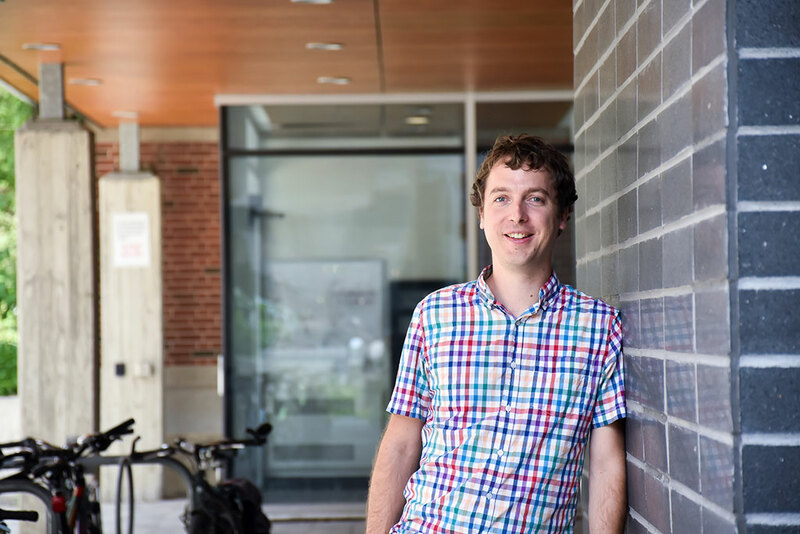 Guelph Life feature article on our group: The Human Side of Machine Learning. NextAI first cohort officially launches 2017-01-25. University of Toronto (Fields Institute) on 2017-02-02. I received my PhD in Computer Science from the University of Toronto in 2009, where I was advised by Geoffrey Hinton and Sam Roweis. I spent two years as a postdoc at the Courant Institute of Mathematical Sciences, New York University working with Chris Bregler, Rob Fergus, and Yann LeCun. In 2012, I joined the School of Engineering at the University of Guelph as an Assistant Professor. In 2017 I was promoted to Associate Professor and became a member of the Vector Institute for Artificial Intelligence. A complete list of my publications is available on Google Scholar. This website was adapted from Sigmajs.org.